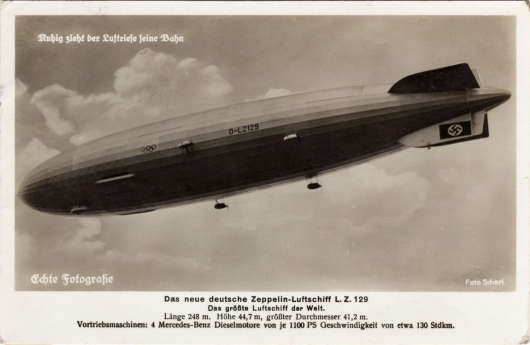 The Hindenburg, LZ-129, was the 129th airship (see List of Zeppelins) in the series begun by Ferdinand von Zeppelin, and was named after him. 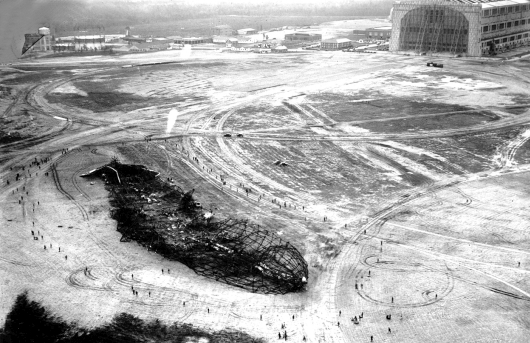 She was just shy of 804 feet long, could lift 42,000 pounds (crew & cargo) (http://www.airships.net/hindenburg/disaster/commerce-department-report), and could fly 85 mph. Construction of the Hindenburg began in 1931, at Friedrichshafen, Germany - the same location as the Graf Zeppelin and others of the visionary Ferdinand Graf von Zeppelin. She was completed in 1936. She was named after Paul von Hindenburg, second president of Germany (1925-1934). The Hindenburg was the first to design the passenger compartment completely inside the hull, instead of hanging underneath the frame in a gondola. She was 803.8 feet long! Absolutely amazing! That's 2.68 American football-fields long. That is beyond imagination! She was 135.1 feet in diameter! At that length, and that diameter, she would have been a most amazing sight. Her first flight was Mar 4, 1936. She then cruised over the Bodensee and the Friedrichshafen area for something like 3 hours. What a sight she must have been! 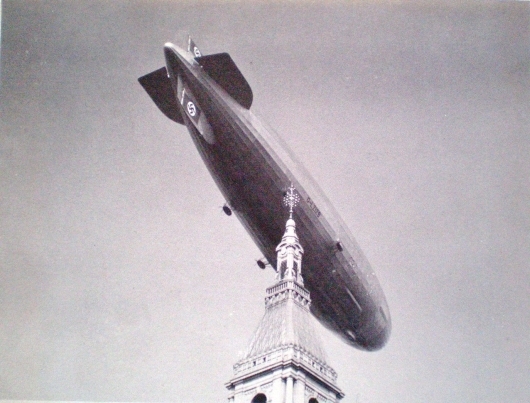 She made several trial flights over the next few weeks under operation of the Zeppelin Company. Then on March 23, 1936, she was turned over to the Deutsche Zeppelin-Reederei (DZR) to begin commercial service. She made several propaganda flights in Germany through the end of March, 1936, then was pressed into long distance service. From May 6-9, 1936 she made her first trip to Lakehurst, NJ, USA. From there, she entered into regular service to Lakehurst. 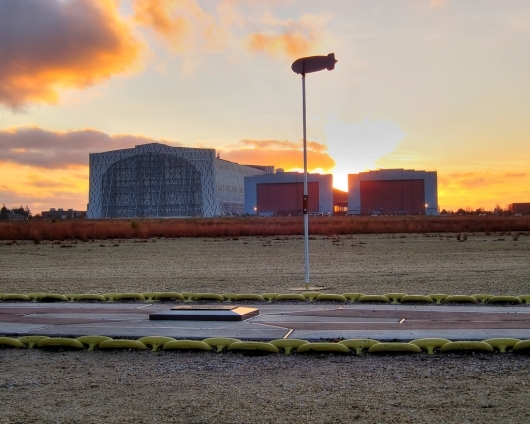 She made 10 successful round trips to Lakehurst! This is a fact not mentioned much in the popular press. Between October 21, 1936 and March 26, 1937 she made several round trips to Rio de Janerio and Frankfurt, Germany. 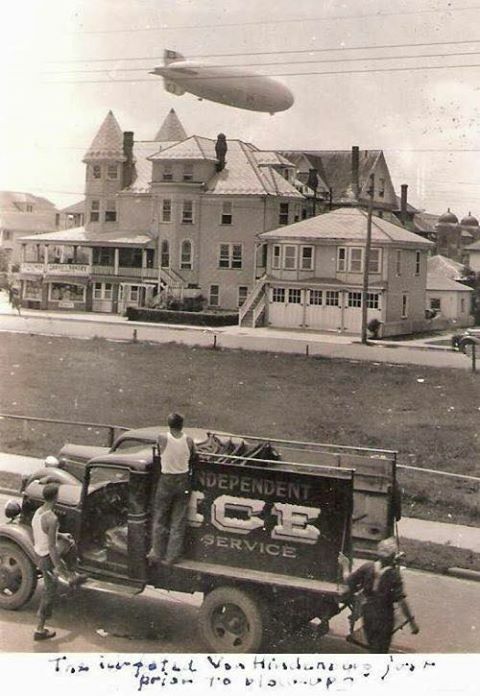 Then on May 3, 1937 she began her fateful final trip to Lakehurst, NJ. 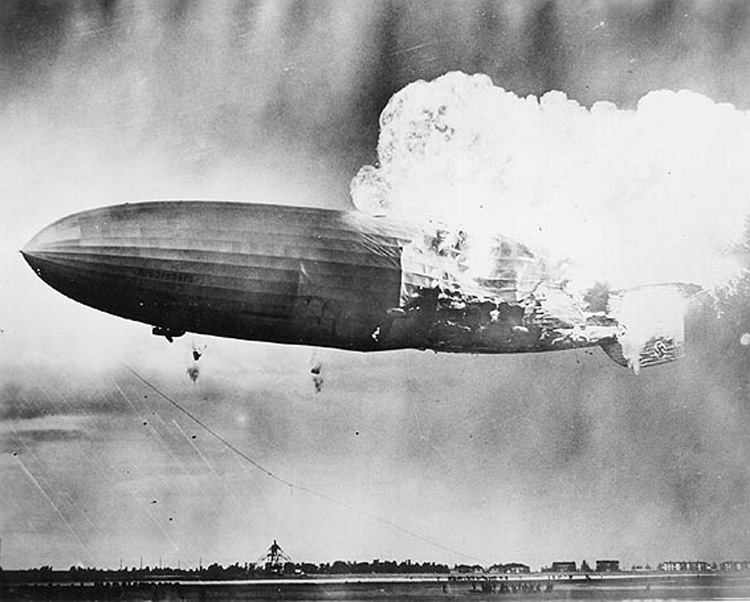 Sadly, the Hindenburg burned on May 6, 1937 as it approached for landing at Lakehurst, NJ. The disaster was captured in newsreels and the horrific fire and crash are still seared into our minds today even though the disaster was over 78 years ago. The cause of the fire remains unknown to this day. 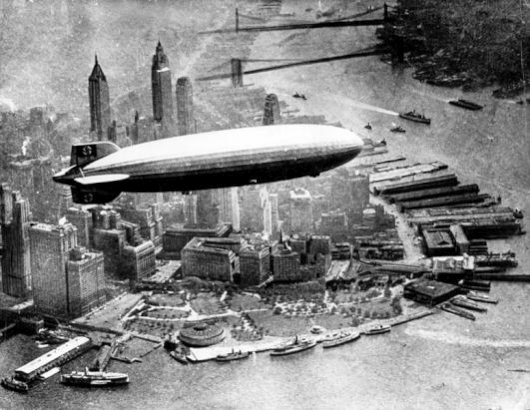 The disaster shattered public interest in the great airships as a passenger-carrying system, and one can say that the "age of the great airship" died with the Hindenburg on May 6, 1937. All remaining airships, of which there were the Graf Zeppelin, LZ-127; the Graf Zeppelin II, LZ-130; and the Los Angeles, ZR-3 (also known as the LZ-126) were decommissioned and dismantled by 1940. All those old enough to have seen a great airship and remember it are now in their 80's! Even those of us born in the 1950's have no clue what it must have been like to be in the presence of these majestic aircraft. Obviously I must start with the disaster site. The LZ-129 was late arriving at Lakehurst NJ around 7 pm due to bad weather. At 7:25 pm, the flames appeared near but forward of the vertical fin, or between the rear port engine and the port fin (reports vary). We all know what happened next. As the great airship burned, it lost lift and came crashing to the ground. Watching the movie newsreels of the time still brings out pain and horror in the viewer as they watch the great airship be consumed by the fire and crash to the ground. This next photo is poignant in that it is an aerial shot of the crash site several days after the crash, yet before the inquiry into the crash was completed and the debris removed. 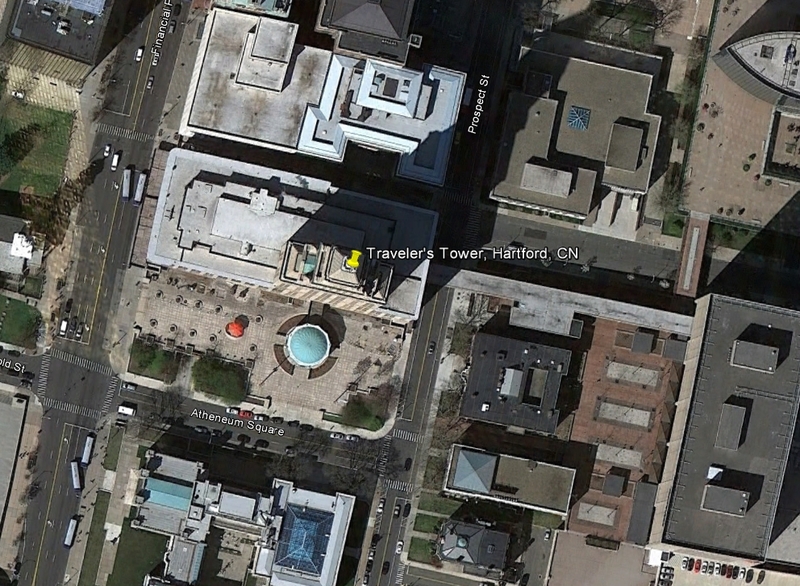 It is reminiscent of the aerial photo of the R-101 crash site in France, seven years earlier. 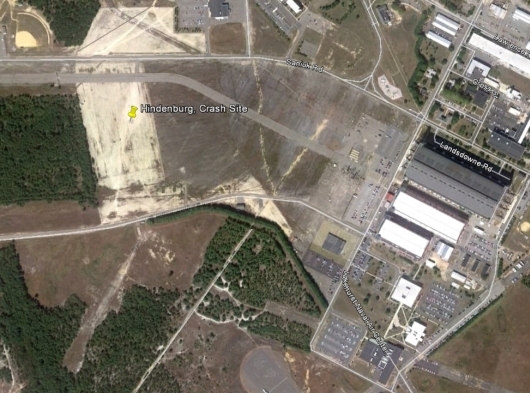 The location of the crash site at Lakehurst is well known of course and marked still today. 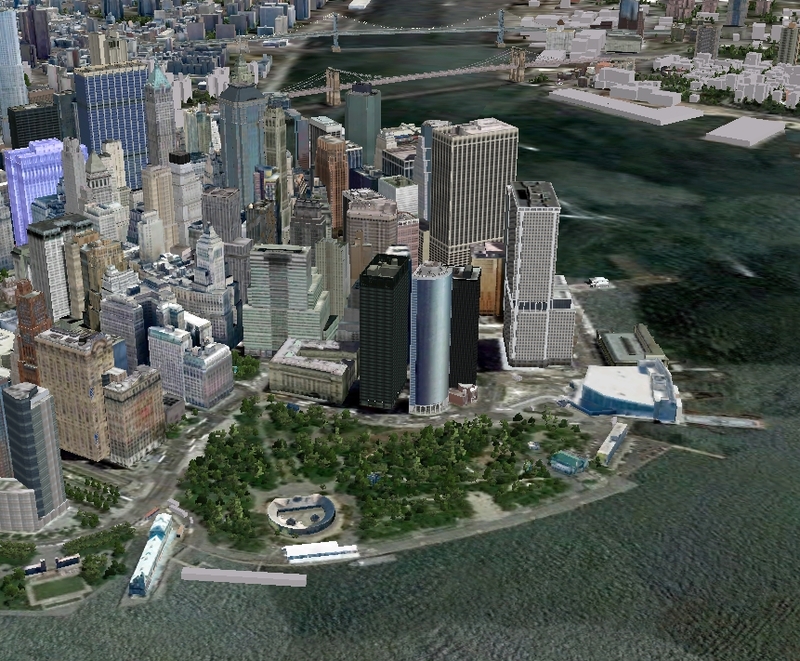 And here is the site! (above). The map tack is at Lat 40.030276 N, Lon 74.325804 W. (Click here to View in Google Maps). The memorial sits on the spot where the control gondola hit the ground. This is a great photo isn't it! Hat's off to Jesse Loesch! 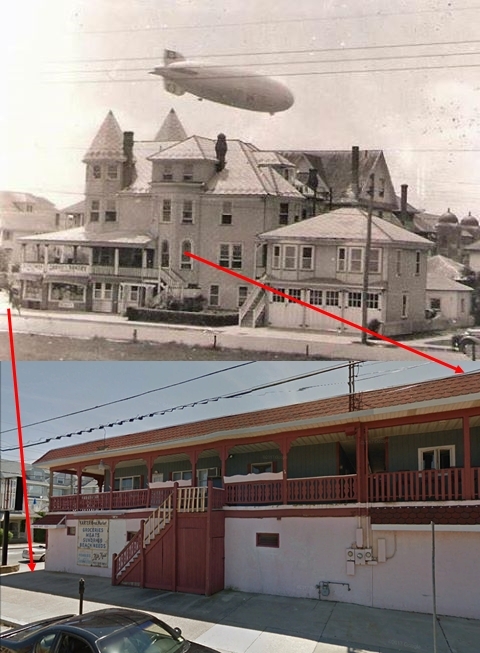 For the Latitude and Longitude of this shot, I chose the Castle Clinton National Monument which is visible in the 1930's photo of the Hindenburg. The map is centered at Lat 40.703320 N, Lon 74.016948 W. (Click here to View in Google Maps). The location of the map-tack in this image is at Lat 41.764483 N, Lon 072.672615 W. (Click here to View in Google Maps).